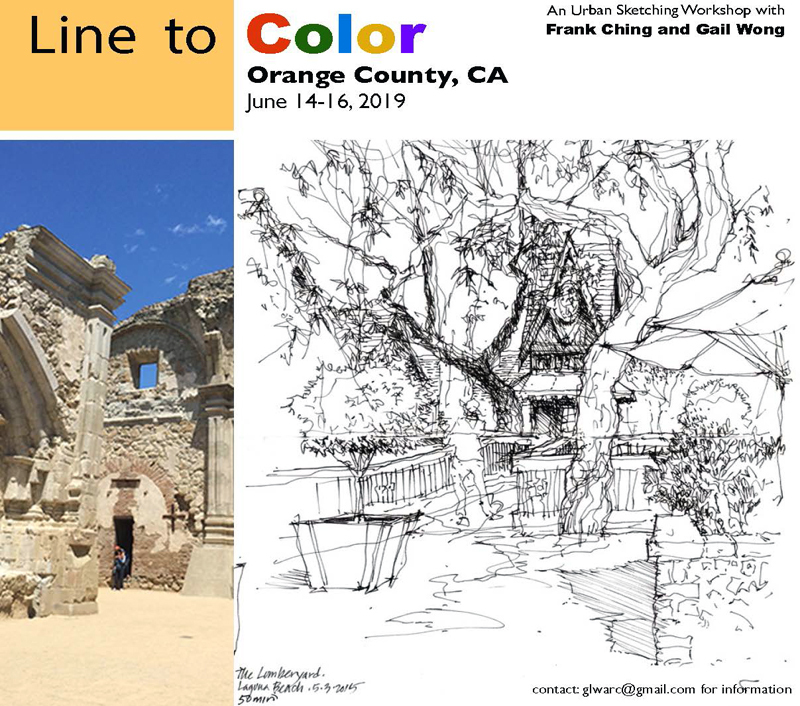 Gail Wong and I will be returning to Orange County, California, for another Line to Color workshop the weekend of June 14–16. 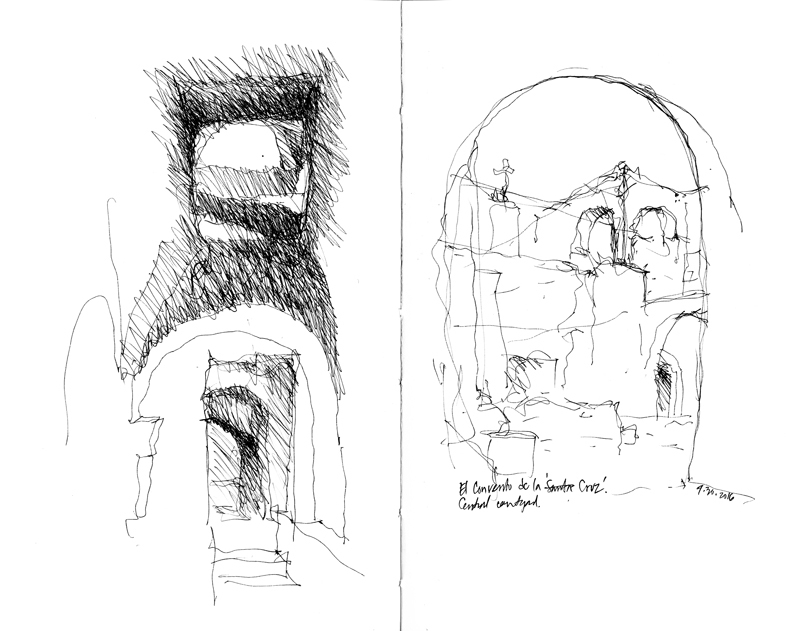 We will be sketching and learning at the San Juan Capistrano mission and Laguna Beach. Learning Goals: LINE 1. Selecting a subject and establishing a point of view; 2. Composing the page: Where to start & how to proceed; 3. 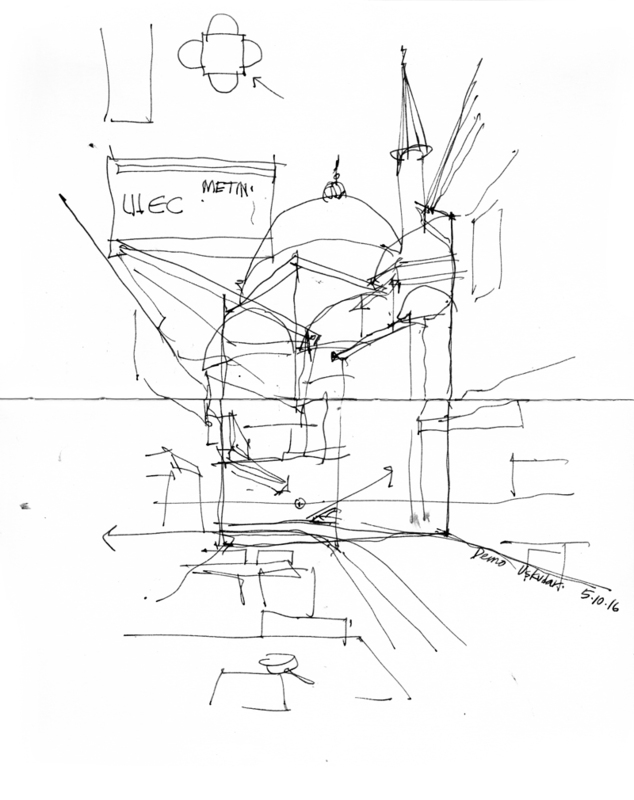 Establishing spatial depth: Near & far. Moving to COLOR: 4. Watercolor and brush techniques; 5. Values: Seeing and using tonal values to create depth and capture the quality of light; 6. Strategies for applying color and limiting your palette. For information about the schedule of events, registration forms, pricing, and method of payment, please contact Gail at glwarc at gmail dot com. 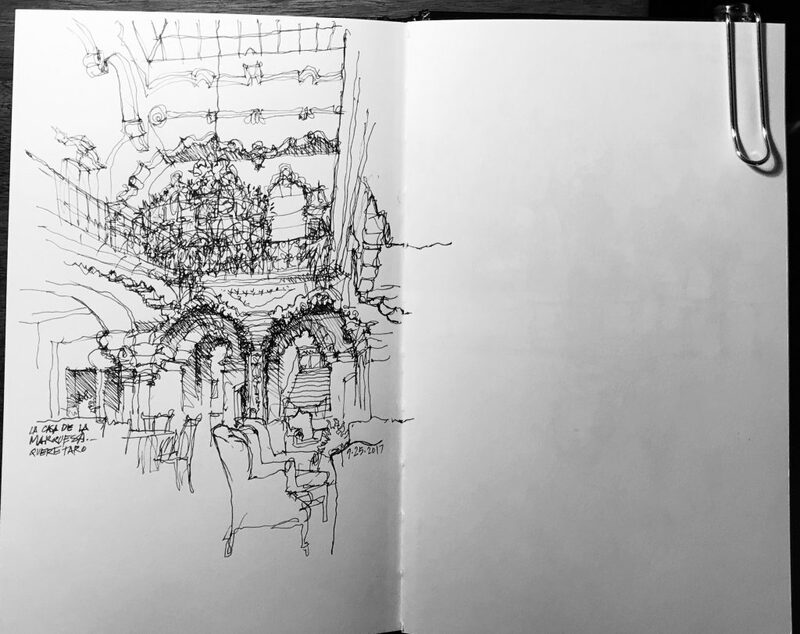 Being in Boston for a drawing workshop—sponsored by Suffolk University and hosted by Sandro Carella—gave me the opportunity to take another look at Trinity Church. A National Historic Landmark, the H. H. Richardson design is recognized as a masterpiece of American architecture. Although the parish was founded in 1733, it was more than 150 years before the current church was built on land-filled marshes in Boston’s Back Bay neighborhood. Richardson replaced his initial idea of a Gothic Revival church with a Greek-cross auditorium plan that expresses the emerging, inclusive nature of American congregational practice, as inspired by the preaching of Phillips Brooks, Trinity’s Rector at the time of the building’s design and construction. 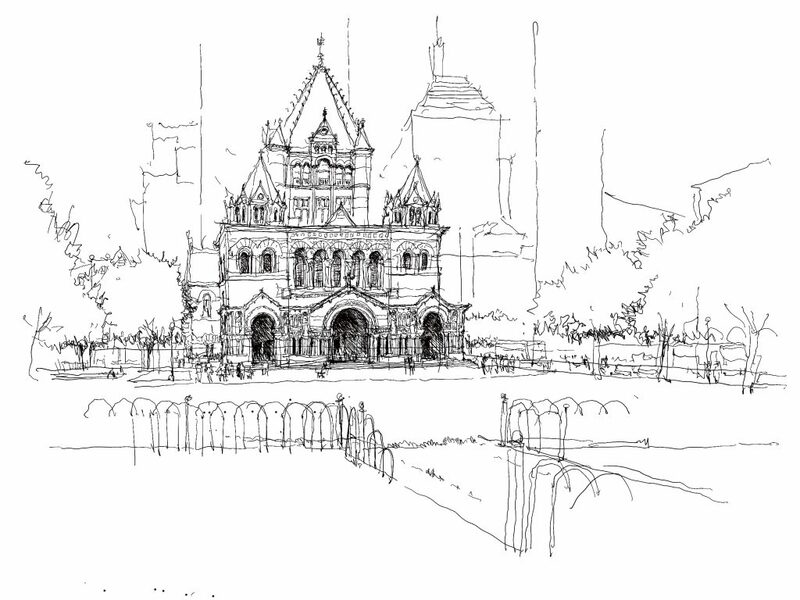 Despite its landmark status, Trinity Church is not a museum but rather it remains a place of worship and service where Christians and visitors gather on a daily basis. Here is a video clip of the drawing process. Following Mysore, my travels took me to the Design Ashram Community Organization in Calicut, where I taught a drawing workshop sponsored by World Architecture Travel. 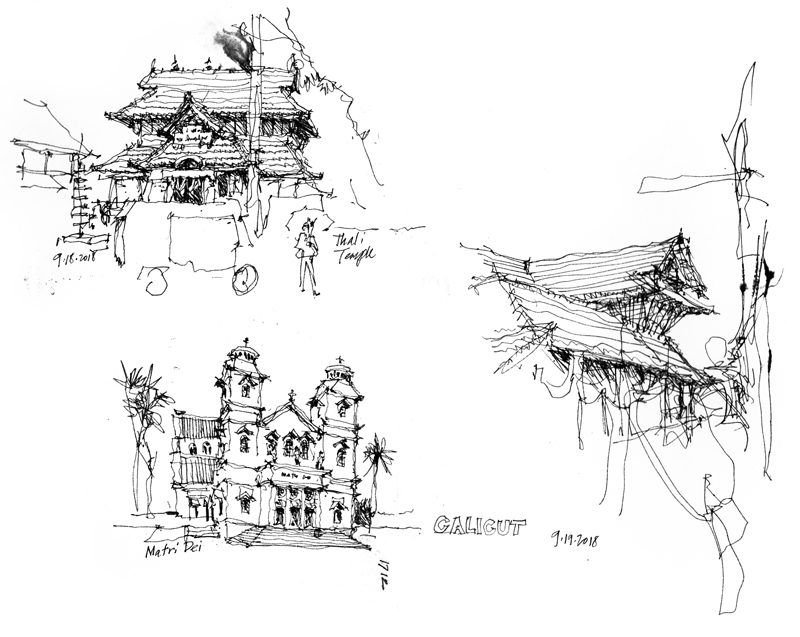 It was indeed a pleasure to walk the streets of Calicut and to sketch with a group of area architects and student interns. 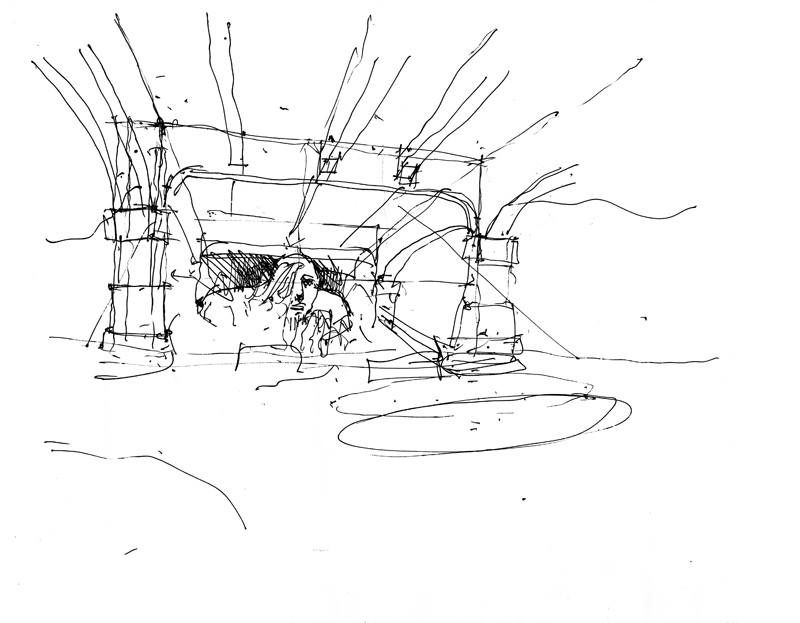 To end my trip to India, I gave a presentation at the Zonal NASA Convention that the College of Architecture of Eranad Knowledge City hosted and spent two days drawing with students at Nilambur Kovilakam, the royal palace of the rajas who ruled the local area once known as Eranad 200 years ago. Thanks to all who made my trip to India a memorable one. 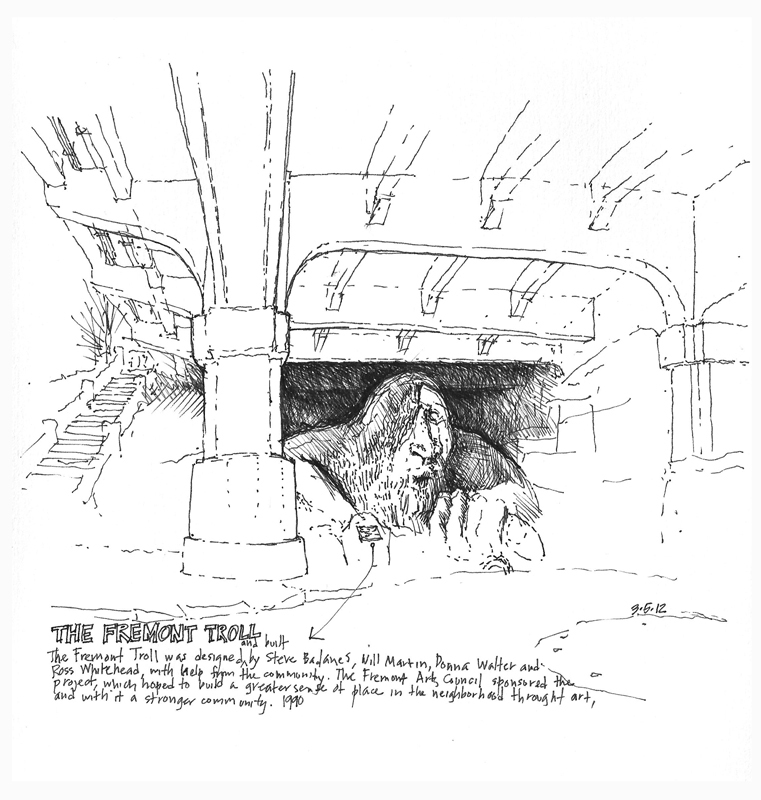 Much appreciation to all those who signed up for my Seattle 10×10 workshop and braved the cool temperatures and showers this past Saturday to draw outdoors at the Fremont Troll. Above is a drawing of the troll that I had done 6 years ago, and below is a quick demo of how I would begin to block out a view from across the street. 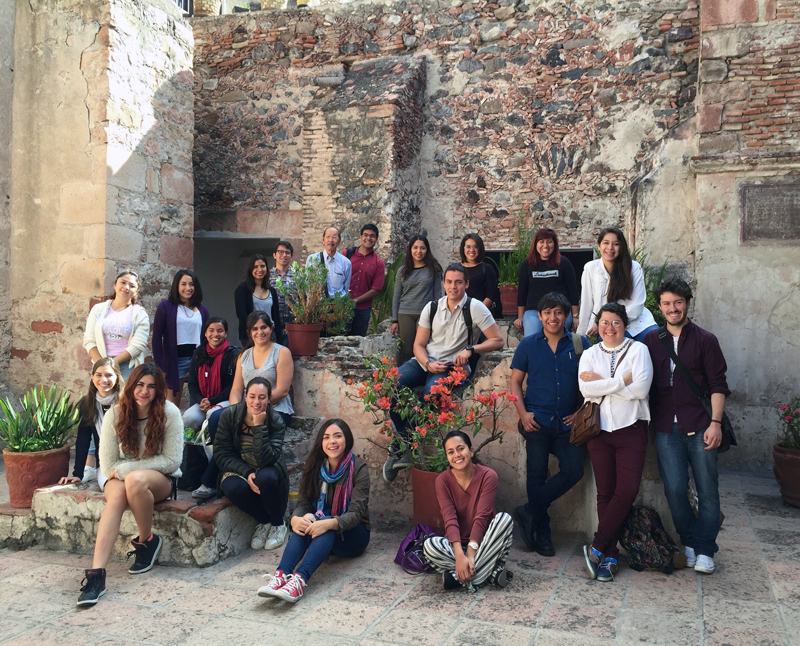 I’ve spent a week in Santiago de Querétaro, a UNESCO World Heritage Site, exploring the historic center and drawing with a wonderful group of students from the School of Architecture, Art and Design at Tecnologico de Monterrey. At the end of the first day’s activities, as I was walking back to my hotel, this casa was pointed out to me. It was built in 1756 for the Marquesa de Villar and is now a boutique hotel. 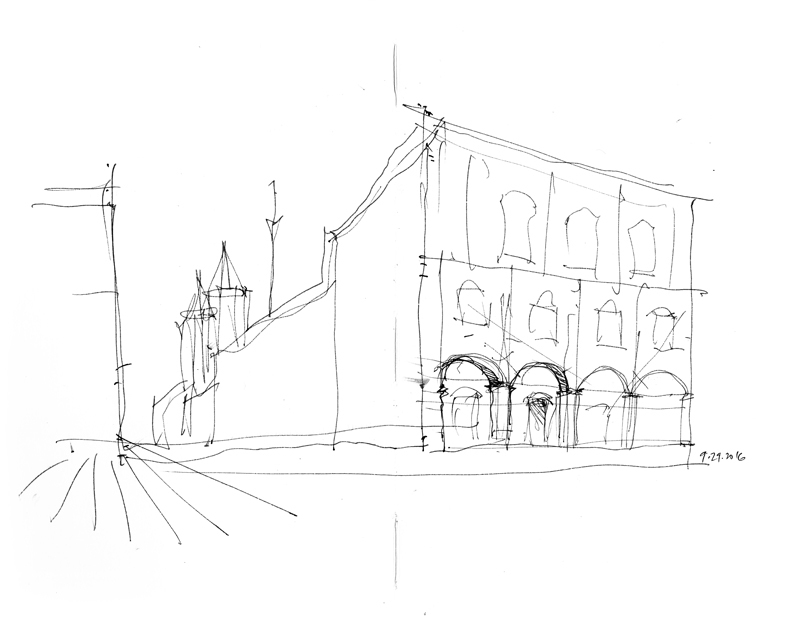 Seeing the richness of the entry court, I felt compelled to draw to stop and draw it. More drawings to come. 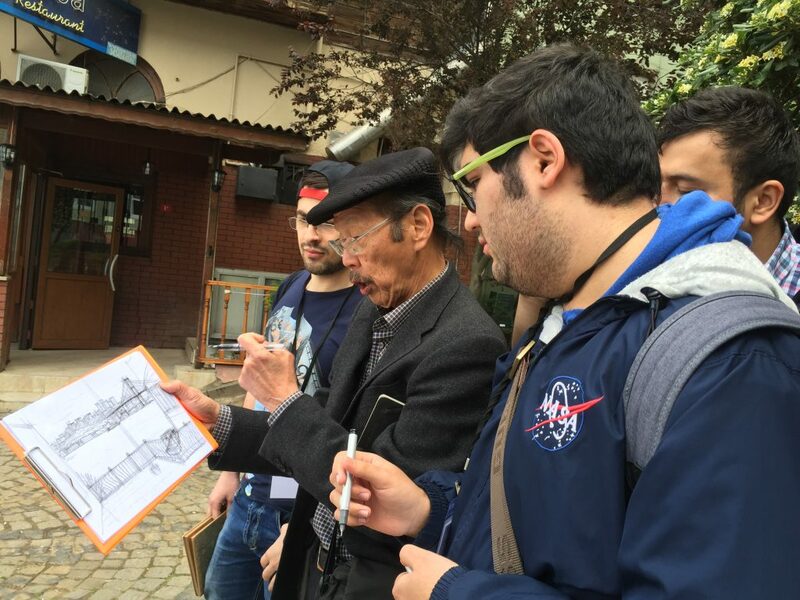 Spent a wonderful day with a group of architecture students from Özyeğin University and other schools in Istanbul. The weather was sunny and pleasantly comfortable. 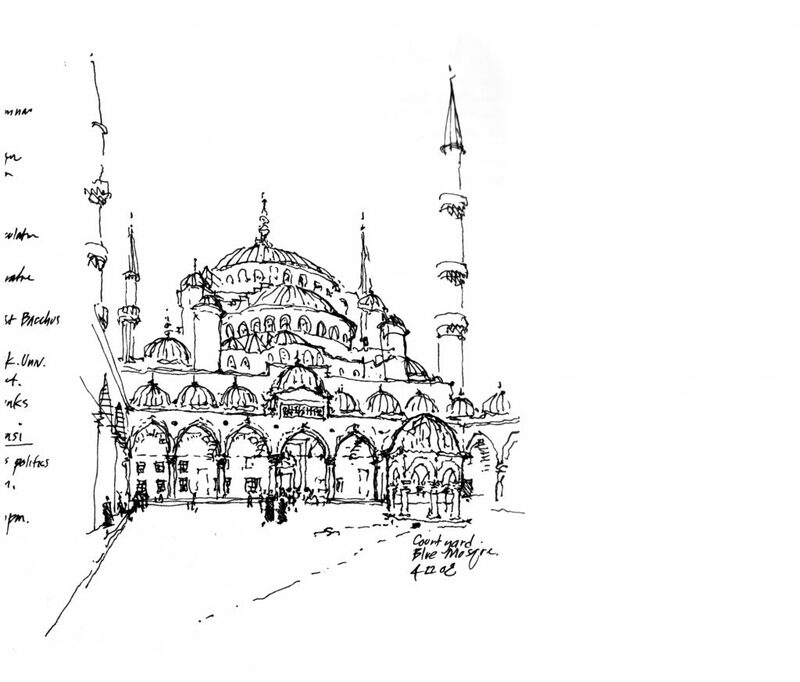 We started off at the Mihrimah Sultan Mosque in the Üsküdar district on the Asian side of the Bosphorus and then worked through the neighborhoods of Kuzguncuk and ended up at Beylerbeyi. 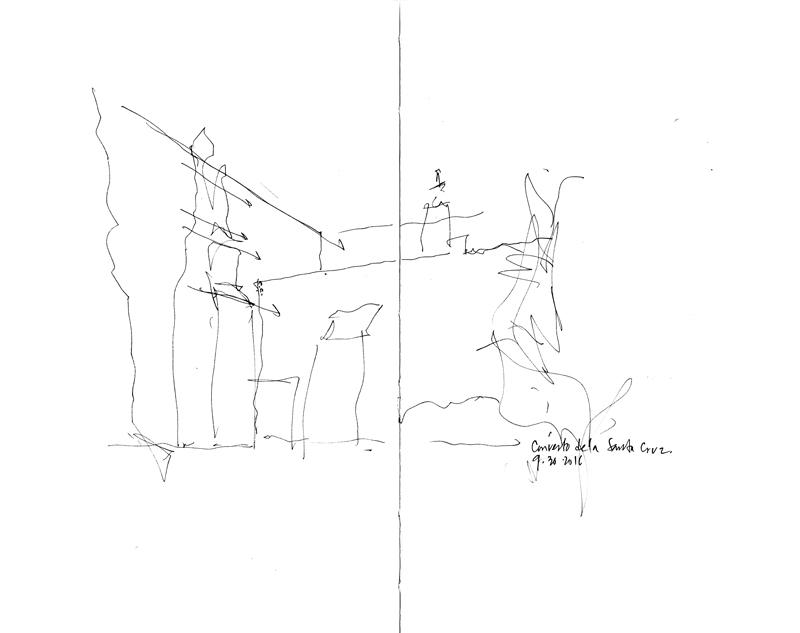 This sketch is typical of the quick demos I do when working the students, drawing either in my own journal or a student’s sketchbook. The second image was done as I was experimenting with using the Procreate app in an iPad, drawing with the Apple Pencil. I found the stylus responded really well, especially compared with stylises that I had tried. 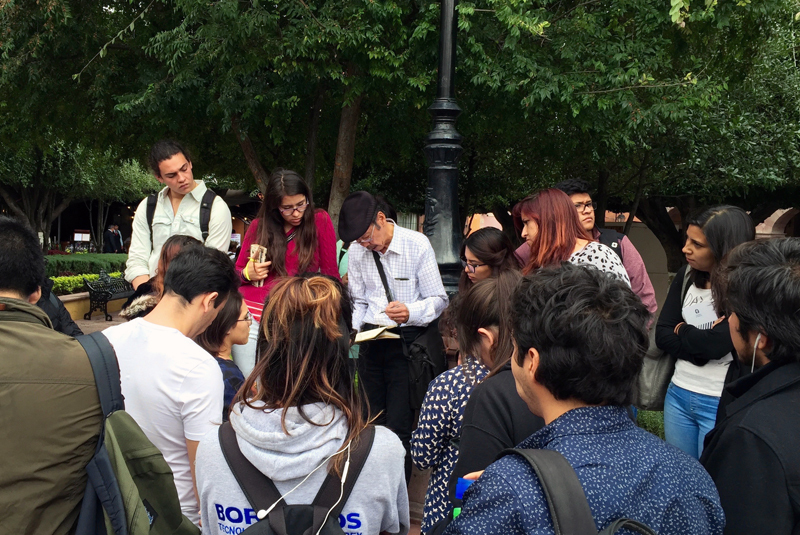 After working with students in various countries and cultures, I have found that they are all so similar in their optimism and enthusiasm for learning. 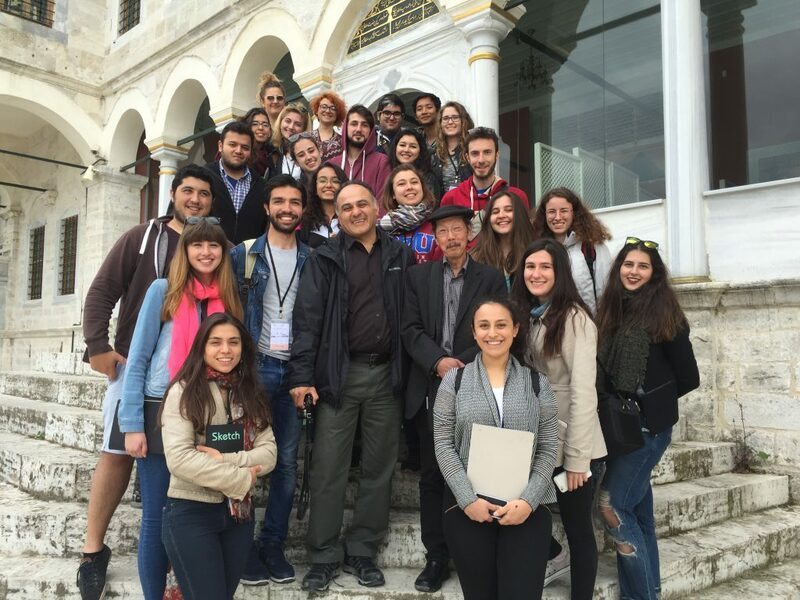 Heading to Istanbul to attend the DCA’s European Conference being hosted by the Faculty of Architecture & Design at Özyeğin University. 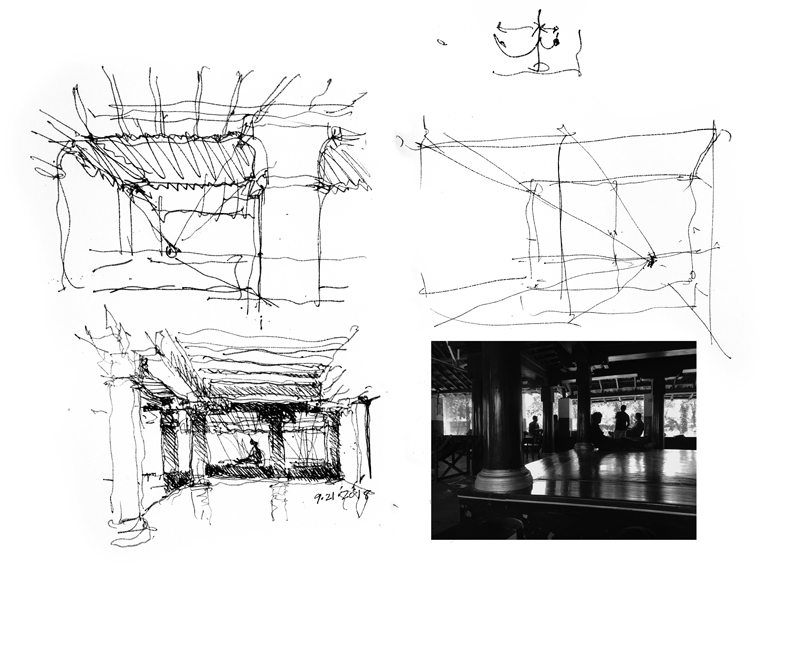 In addition to giving a presentation and conducting drawing workshops, I hope to be able to do some sketching and post a few drawings. 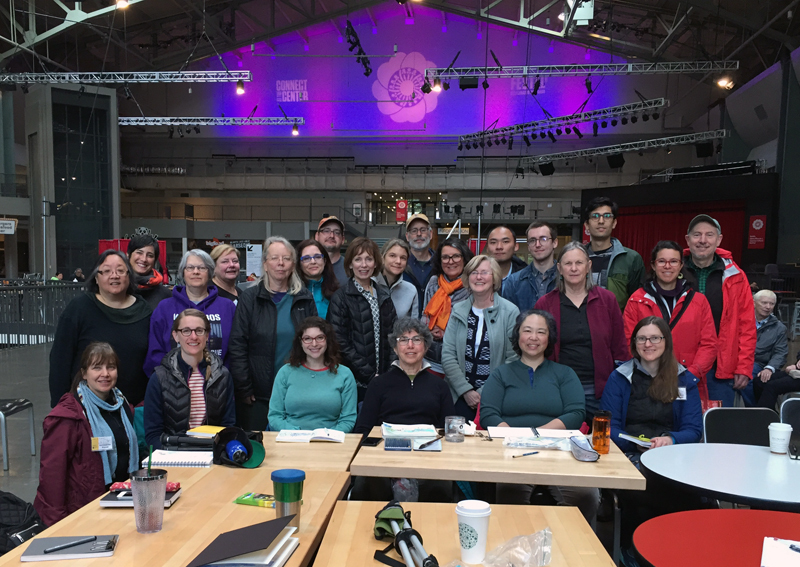 Thanks to all the participants in the Line to Color workshop Gail Wong and I led this past weekend in the Fremont neighborhood and Gasworks Park in Seattle. We appreciated the energy and willingness of everyone to endure the less than ideal weather conditions to draw and paint this weekend. 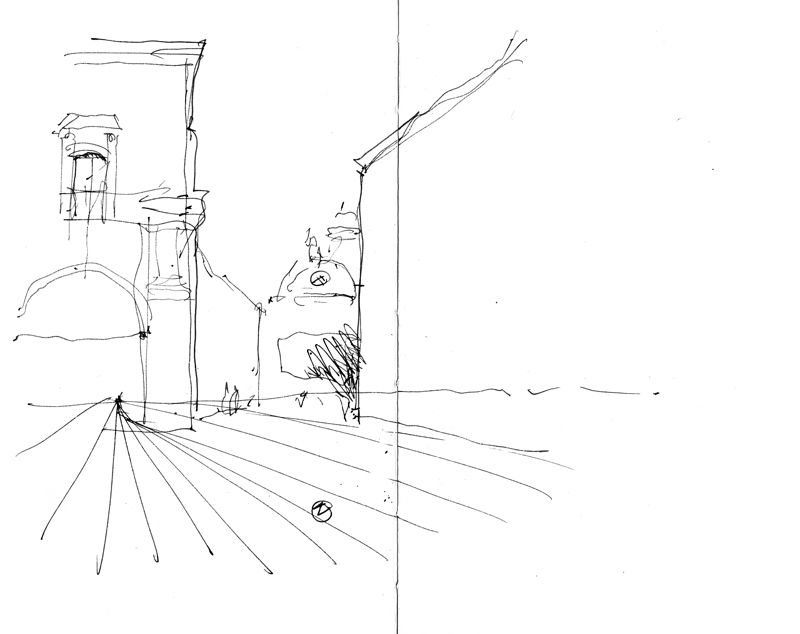 When sketching while traveling or simply out and about, we often cannot control how hot, cold, or wet it is. We can only do the best we can. 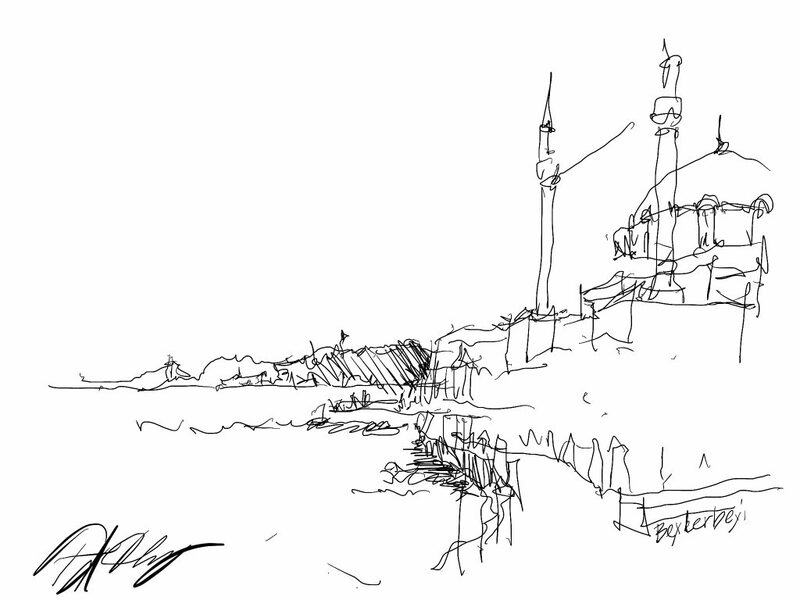 After drawing on location for so long, I sometimes forget what it is like to be a beginner. More than a few participants mentioned how mentally tiring it was to draw all day, which, in thinking about it, shouldn’t have surprised me. 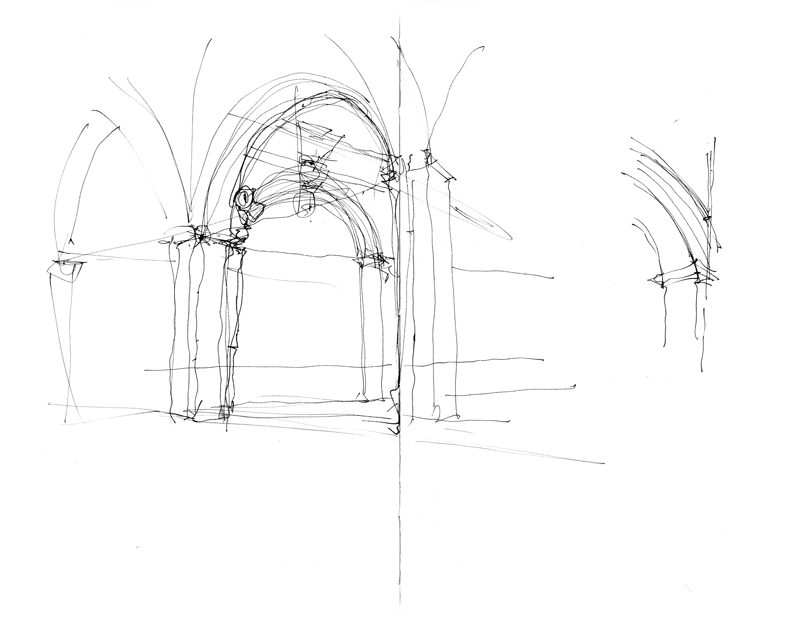 Drawing, and the seeing it requires, does take effort, especially for beginners struggling to resolve the difference between what we know about something and how it might appear to the eye. 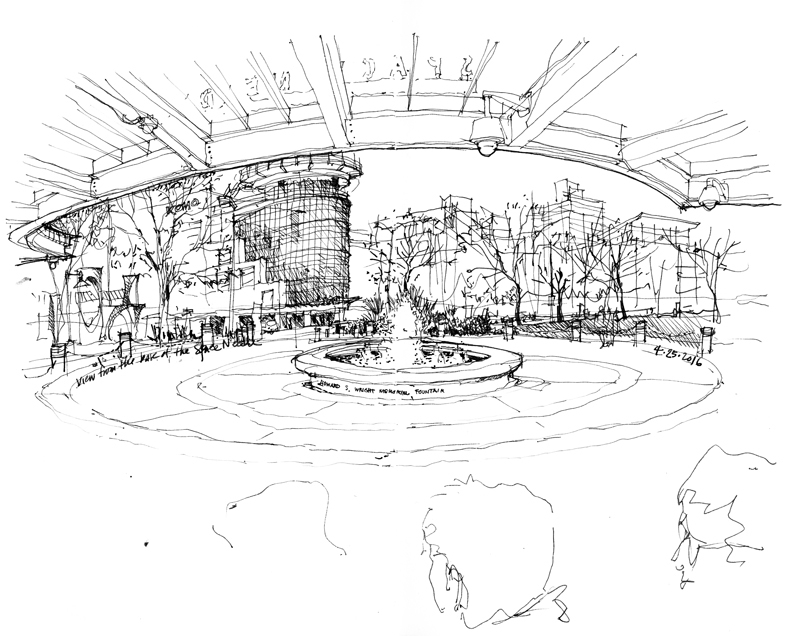 During these workshops, Gail and I rarely have the time to do any drawings of our own except for the quick demos we may do in our sketchbooks as we work with each of the participants one on one. Yesterday, to wrap up the workshop, we gathered at Seattle Center for a final session and I finally had the time to do a couple of sketches. 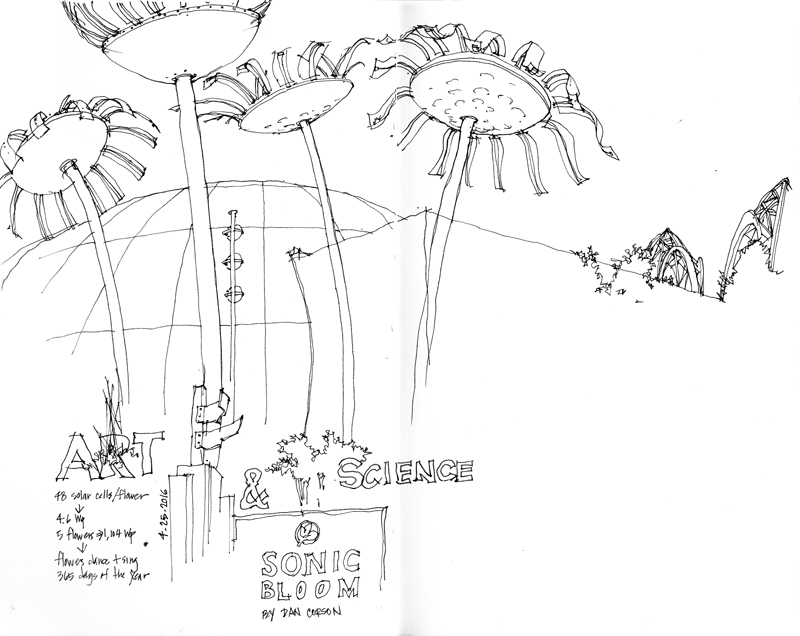 The first is the view looking out from under the canopy at the base of the Space Needle, and the second is a contour line drawing of Space Bloom, an installation that combines art, science, and technology to enable the floral sculptures to sing and dance throughout the year. Gail Wong and I will be teaching another in our series of Line-to-Color workshops in Seattle April 22-25, 2016. For more information about the schedule and registration process, please email Gail at glwarc at gmail dot com.